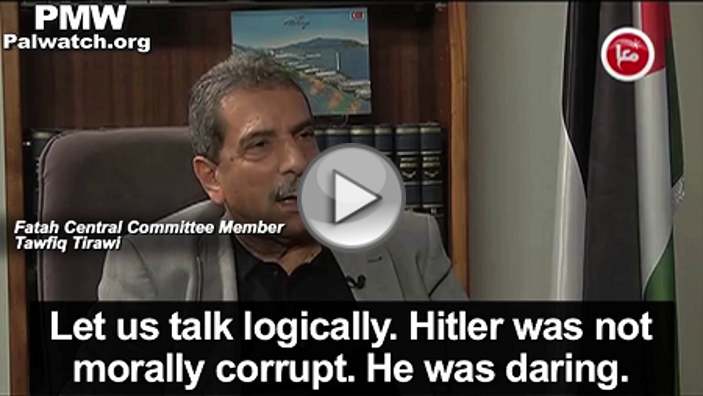 In a show on official PA TV, the hosts compared Israeli Prime Minister Netanyahu to Hitler. 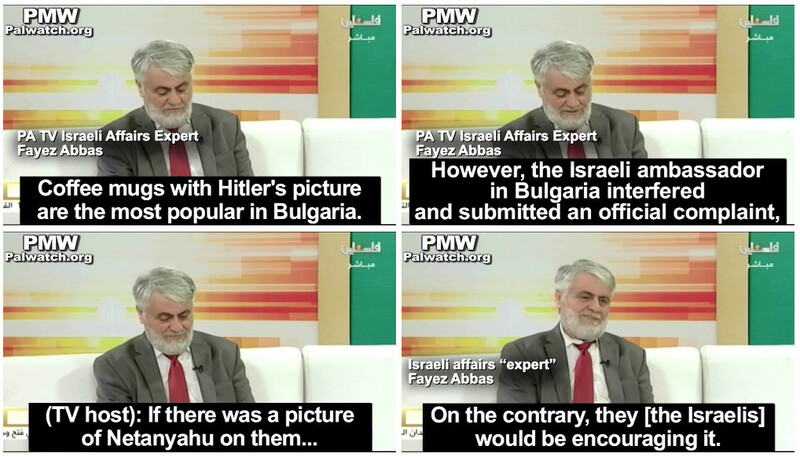 The discussion was about mugs with a picture of Hitler that were “the most popular in Bulgaria” that had been removed from stores by police following a complaint by Israel’s ambassador. 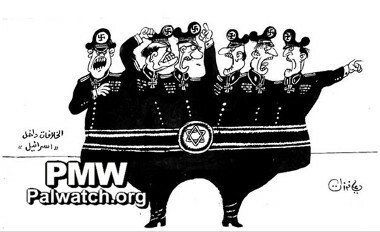 Official PA media and leaders often compare Israel to Nazis and Netanyahu to Hitler. 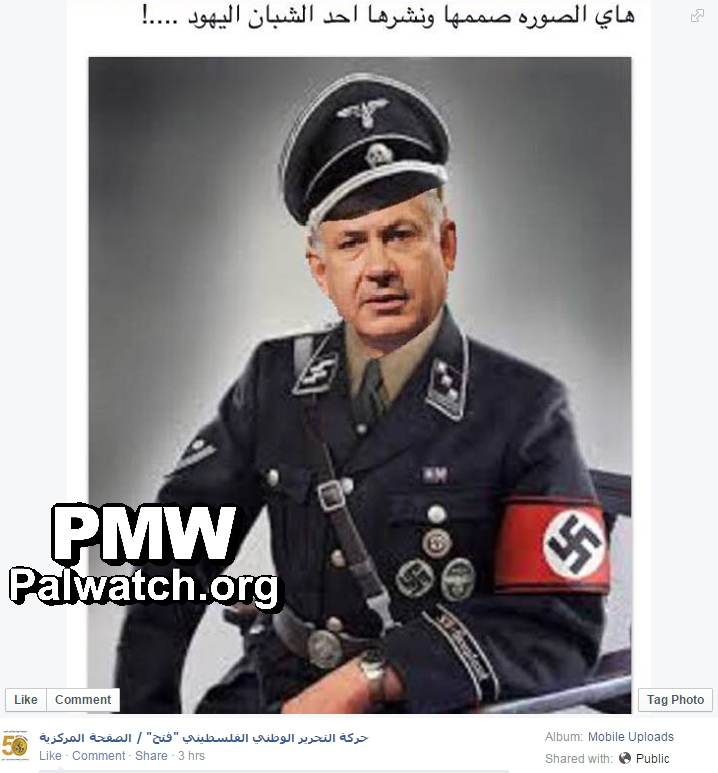 Palestinian Media Watch documented when the official PA daily published an op-ed, that Netanyahu "imitates Hitler's racism," which he acquired "genetically from the days of the Nazis and the Aryan race."